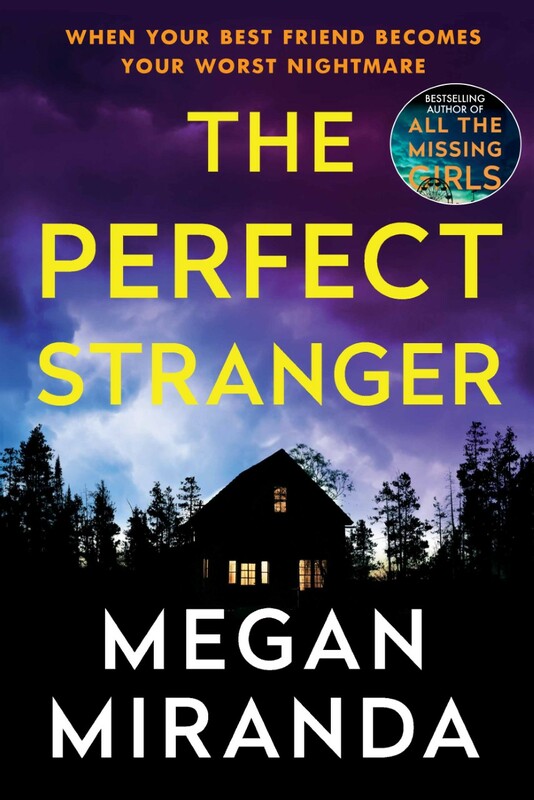 Last year I read Megan’s first book All The Missing Girls and loved it. It was (and indeed is) a superbly twisty tale, told in reverse, with each chapter revealing a little more of what happened the previous day. It was meticulously organised and beautifully constructed, and made the honourable mentions list of my books of 2017. The Perfect Stranger then had quite a lot to live up to! 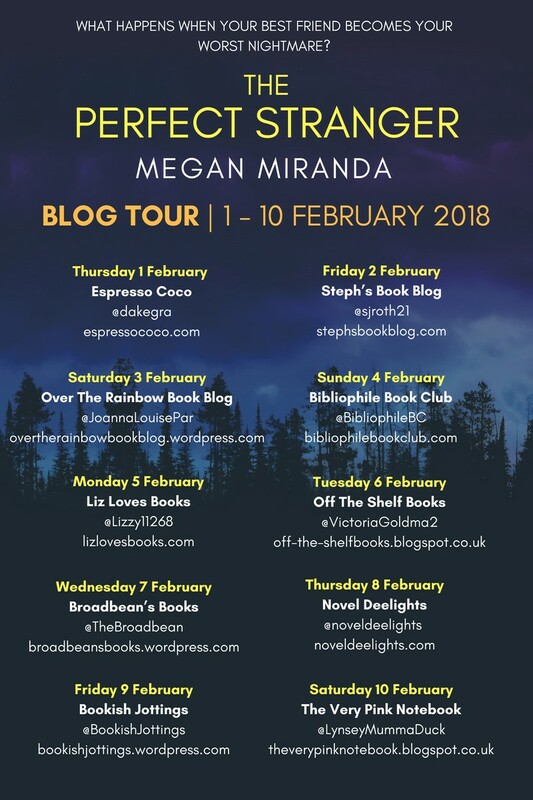 I really enjoyed it – Megan Miranda really knows how to play the suspense game, drip-feeding you snippets of information, revealing another piece of the puzzle, all the while making you question what you think you know about these characters. Questioning how well you ever know someone, and what you’d do for your best friend… She’s created another tense, twisty plot with huge swathes of threads to keep track of. There are so many questions floating around throughout the story – who is Emmy? What happened to make Leah move to western Pennsylvania, leaving her old life, career and friends behind? Everyone has secrets, and Leah has plenty of her own. Is it as good as All The Missing Girls? Short answer, not quite. It’s always tricky following up something so unique. That said, it is a fantastic read. It’s more straightforward in the telling, but the writing is superb and it’s cleverly constructed with memorable characters. If you’ve not read either, I’d recommend that you go for this one first and I’m sure you’ll enjoy it. Then go read All The Missing Girls! Many thanks to Anne Cater and Corvus Books for the advance copy. Megan Miranda is the author of the bestseller ALL THE MISSING GIRLS. She has also written several books for young adults. She grew up in New Jersey, graduated from MIT, and lives in North Carolina with her husband and two children. THE PERFECT STRANGER is her second novel of psychological suspense. Follow @MeganLMiranda on Twitter and Instagram, or @AuthorMeganMiranda on Facebook.